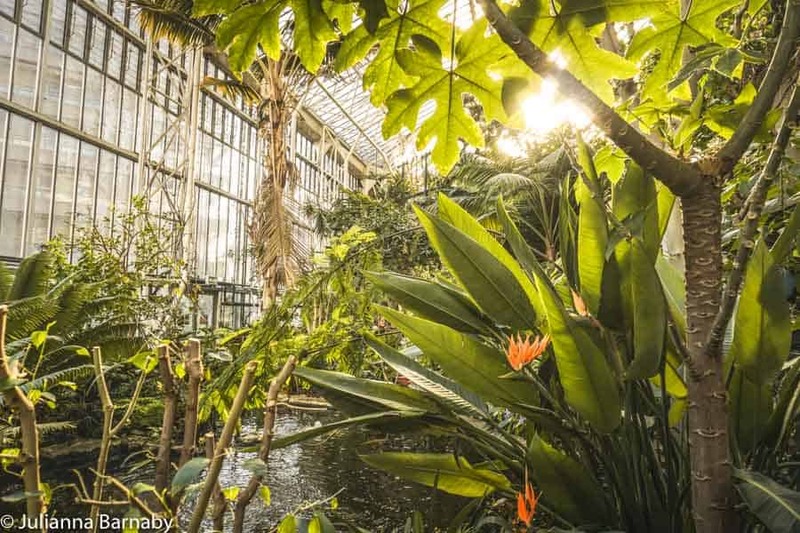 The Barbican Conservatory is one of London’s hidden gems – a giant botanical garden in the middle of the sprawling Barbican complex. It’s time to explore. The Barbican is one of my favourite London spots – a huge complex of striking Brutalist architecture, it’s a cool cultural hub that deserves your attention. 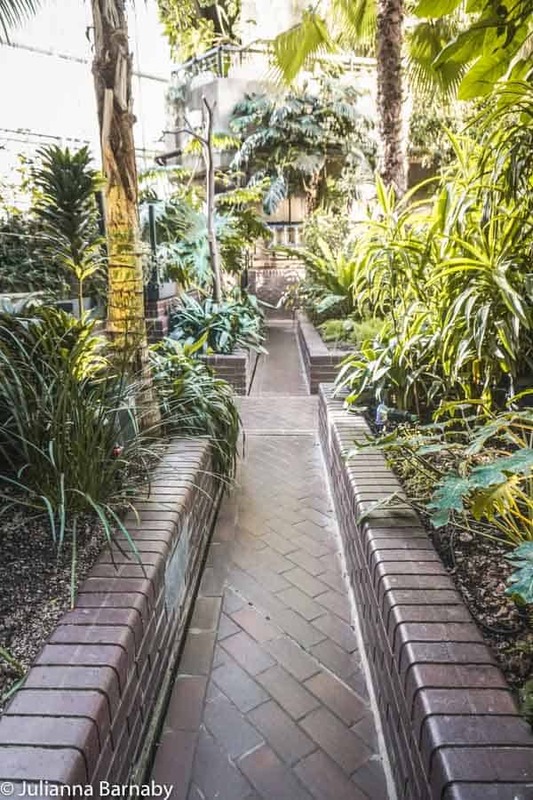 Navigate your way through the maze of walkways, stairs and tunnels and you might just find the Barbican’s coolest secret… The Barbican Conservatory. Somehow, The Barbican manages to hide the second largest conservatory in London (the largest is in Kew) out of sight and away from prying eyes. Now that you’re in on the secret – here’s how you plan your trip and what you need to know before you go. What’s so Special about the Barbican Garden? 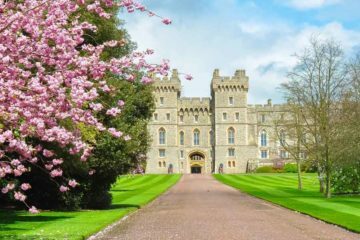 I don’t know about you, but when I think of a traditional English garden, I think of country-house escapes with dainty flowers and pristine topiary. Yawn. 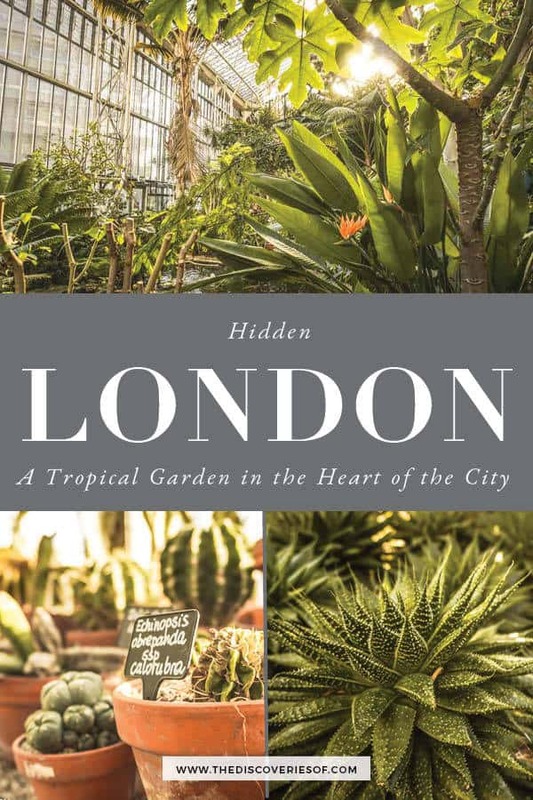 Well, forget all that because the Barbican’s Botanical Garden turns that all on its head – and that’s exactly why you’ll love it so much. The Barbican is a residential and creative complex known for its Brutalist architecture (if you’re not sure what that is, think think swathes of concrete and practical, yet oddly beautiful lines and you’re probably on the right track). Now imagine one of the towers of the estate totally covered in beautiful, lush tropical gardens. That’s the Barbican Conservatory London. Well, there’s nowhere else quite like it in London. 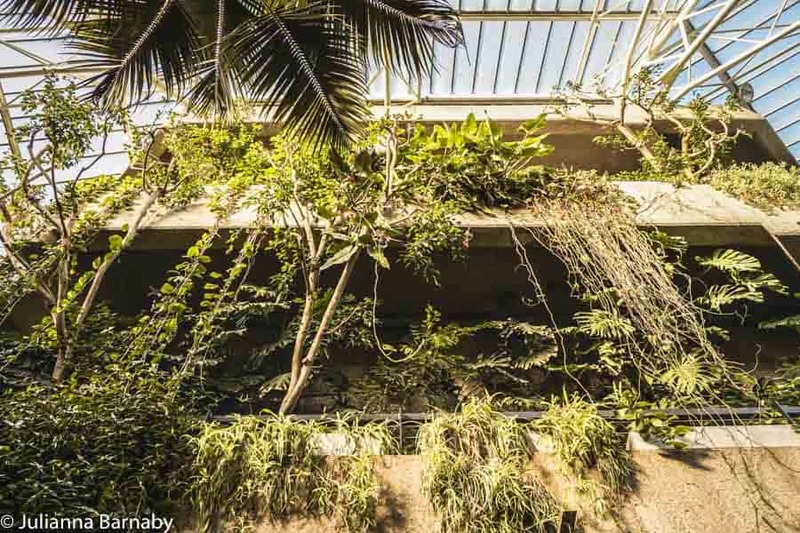 The juxtaposition of manmade and natural beauty sets the Barbican Conservatory apart – where else can you see lush foliage and beautifully-kept flower beds peeking out from huge slabs of concrete? It’s like the set of a disaster movie where the earth has started to reclaim the building – if the disaster just so happened to be overseen by a team of skilled horticulturalists. The Barbican garden is also unique as it is the second largest London conservatory after the Princess of Wales Conservatory in Kew Gardens. 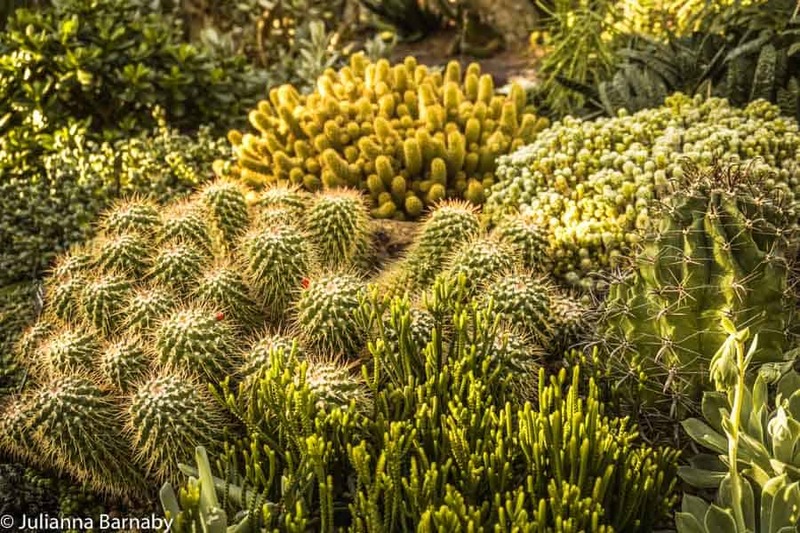 Look carefully and you can see over 2,000 species of plants ensconced within its walls. Most of these are of the tropical variety. 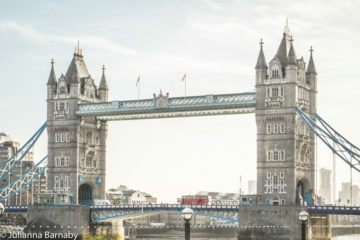 Think palm trees and banana plants – you might even forget you’re in London for a moment – until you catch a glimpse of the city’s skyline peeking out behind the glass. 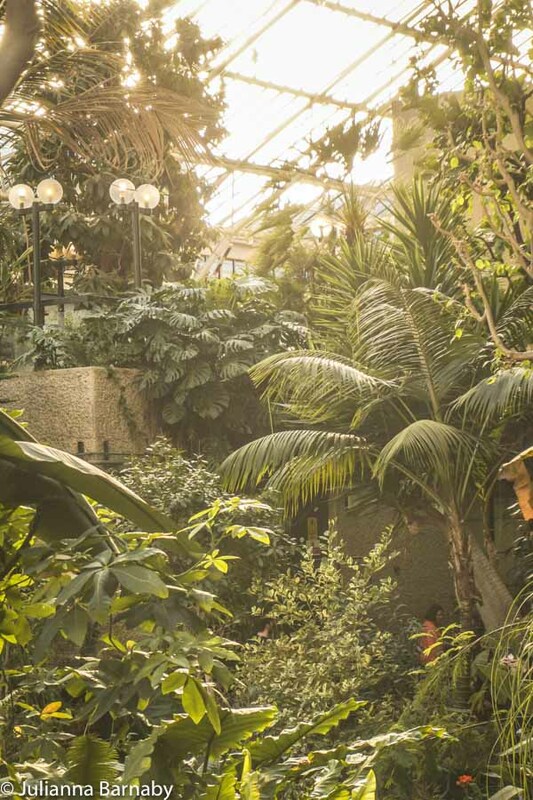 Just walking through the conservatory at the Barbican is a delight – and completely free. However, you’ll have to plan your visit carefully as it is only open on some Sunday afternoons and Monday bank holidays. 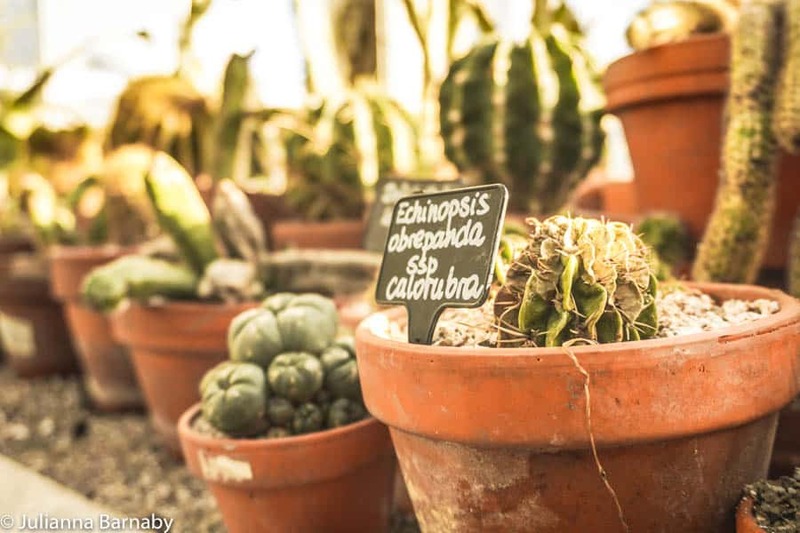 If you consider yourself a particular green thumb, or want to know a little more about the gardens, there are guided Barbican conservatory tours to find out more about the different varieties of plants. Check the Barbican’s website for dates and booking details. Other events are also held through the year, although most are private so you’ll have to be lucky to score an invite. Some of the best see the Barbican Conservatory and Garden Room it up in colourful lights – making it an even more amazing, if slightly trippy, sight. 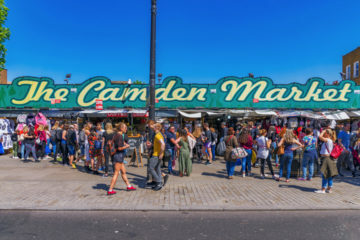 If you do have a few quid and a bit of time to spare, you might like to combine your visit with catching a theatre performance or other event at the Barbican Centre. 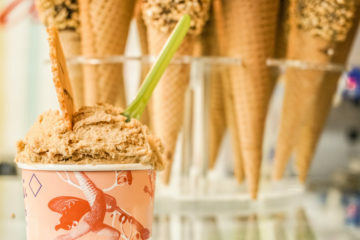 What’s the perfect accompaniment to an afternoon exploring the Barbican Conservatory? The famous high tea, of course. On selected Sundays throughout the year (check the websites for dates, they are released a few months in advance) the Barbican Conservatory puts on a fabulous afternoon tea inspired by the plants of the gardens themselves. As every good afternoon tea should, it includes cakes, scones, sandwiches and even a glass of prosecco – because every Sunday afternoon is made infinitely better with a glass of prosecco. 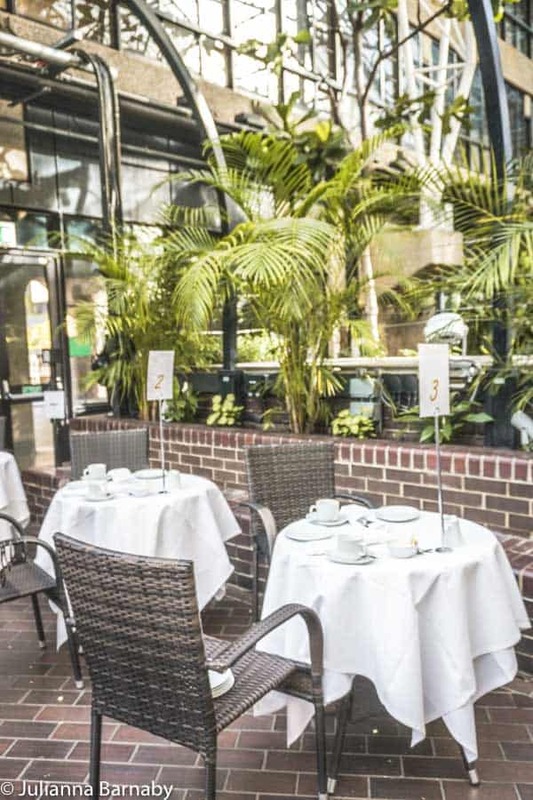 The Barbican Conservatory afternoon tea is served in full view of the amazing tropical jungle, so you really feel like you’re dining amidst the canopy. There’s a lot of excited chatter all around; even long-term Londoners love the chance to dine at the conservatory. Even in the wintertime it’s usually a little warmer in the Barbican greenhouse, but it is still London, so it’s best to wrap up a little. In summer, the sunshine is absolutely beautiful. The afternoon tea is currently £35 per person, or £30 if you are a member of the Barbican going between 12pm and 1.30pm. You need to book ahead and it does tend to fill up early, so make sure to book your place online. 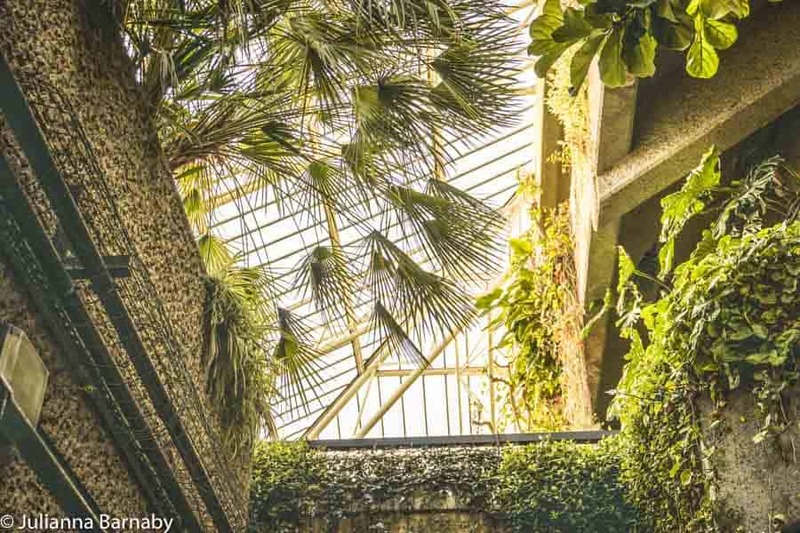 Perhaps fittingly for a place that mixes beauty and brutalism, the history of the Barbican Conservatory begins with destruction. The land that is today occupied by the wider Barbican was bombed extensively during World War II. Following the war, it was decided that the 35 square acre site would be rebuilt as a residential estate. In the 60s and 70s, three towers and 13 terrace blocks were built, all named after famous literary figures. In the 1980s, the Barbican Centre opened nearby as a public space for the arts. It is the largest of its kind in Europe, with buildings including a hall, theatre, library and gallery. It was built in the “brutalist” style, known for large chunks of concrete and practical, functional lines. In particular, it took inspiration from the “ziggurat” style buildings that were popular in ancient Mesopotamia (modern day Iraq and Syria). While that all sounds interesting, spare a few architecture buffs, the design was largely panned. In fact, the Barbican Centre was once voted ‘London’s Ugliest Building’. Fascinatingly, this “award” coincided almost perfectly with the building becoming Grade II listed for its significance to architecture. Say what you will about the Barbican; it knows how to stir up a controversy. Over the years, attempts were made to beautify the Barbican, including bringing in plants to cover up the blunt flytower of the theatre. What began with a few plants slowly grew into the Conservatory terrace of the Barbican; one of London’s prettiest green spaces. Originally, the Barbican Conservatory was intended to be a popular tourist attraction. However, it never quite took off and it was decided to reduce the opening hours drastically. Perhaps ironically, closing the Barbican to the public on most days seems to have helped its popularity. Nowadays, it has a certain mystique and appeal about it – feeling like a hidden-away secret. 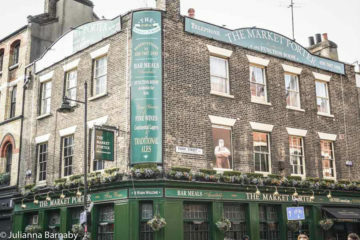 No wonder it’s one of my favourite places in London. The conservatory is split into two different “houses” which have slightly different feels. The tropical house is larger with species such as palm trees, while the stairs lead up the arid house where most of the species are smaller. Be sure to see both. The Barbican Conservatory opening times are pretty limited, so you’re going to want to plan your visit in advance! It is open on selected Sundays and some bank holiday Mondays between 12pm and 5pm. There is a Barbican tube station serviced by the Hammersmith & City, Metropolitan and Circle lines. St Paul’s is also reasonably close by (about a ten-minute walk) and is served by the Central line. Other nearby tube stops include Moorgate and Farringdon. Click here to see The Barbican’s location on a map. The Conservatory is located on Level 3 of the Barbican Centre. You can also access it by following the signs to the Art Gallery, then on to the Sculpture Court on which it’s on the other side.